This past weekend I did something that was a little c-r-r-razy! And I will tell you what it is as long as you promise not to tell my mother. I got a tattoo! Now you’re probably thinking, “Okay Michelle, first the teeth,” (yeah, I got Invisalign, don’t tell me you didn’t notice me lisping through the last few months of my videos… )“and now the tattoo, what are you having a mid-life crisis?” Well, I prefer to think of it in a different way. Hey, Michelle Cederberg here, with your weekly Work-Life Recharge, sharing my “Carpe Diem” moment, and why I chose to get a tattoo. Let’s be clear, I have given it a lot of thought. I know that the Invisalign on my teeth isn’t permanent. The tattoo though, truly is. Well, I wanted to be able to look down at my arm and have a reminder every single day that we’re not promised tomorrow, to seize the day, to make every day worthwhile, and not to take any time for granted. And there’s a bigger reason for that, for me. When I was 17 years old, my twin sister and I, we went to Garibaldi Secondary School in Maple Ridge, BC, and in that year, in May of 1986, our dad was killed in a workplace accident. He was a faller in the Capilano Watershed and he died one day while he was cutting down trees. Now if you’ve ever lost anybody that close to you, you know how hard it is, and our lives changed, snap, like that. And interestingly, our high school motto was “Carpe Diem” so my sister and I decided that if Dad’s not going to be here, we’re at least going to live a life that he can be proud of. So that if he was looking down on us, he’d be smiling. Carpe Diem! That served us well over many many years. Well, I added the “freakin’” part about two and a half years ago when my brother died at the age of 52. Far too soon, just like my dad, but in his case, his death was preventable. He died because he didn’t take care of himself and didn’t get help before it was too late. And wow, I miss them both every single day. So, the tattoo is my reminder of them, but it’s also to remind me that we’re not promised tomorrow. So, I want you to think about how you can “carpe freakin’ diem” your own life, today and every single day. What have you been holding off doing? Who have you been putting off having a conversation with about life, love and the pursuit of happiness? What do you need more of in your life, and what are you waiting for? We will put off, and put off, and put off, because we think “I’ve always got tomorrow,” and I don’t want to be morose, but sometimes we don’t. The thing about living your life with a carpe freakin’ diem mindset is that you win regardless! It’s my wish that we all live long, healthy, wonderful lives, and if we’re seizing the day right through to our last breath, imagine how amazing the freakin’ ride is going to be. I’m coming down to the last few videos in this Work-Life Recharge project, so I really want to get you thinking about what is important for you. What do you want more of, what do you want to be doing for yourself in 2018 and beyond? 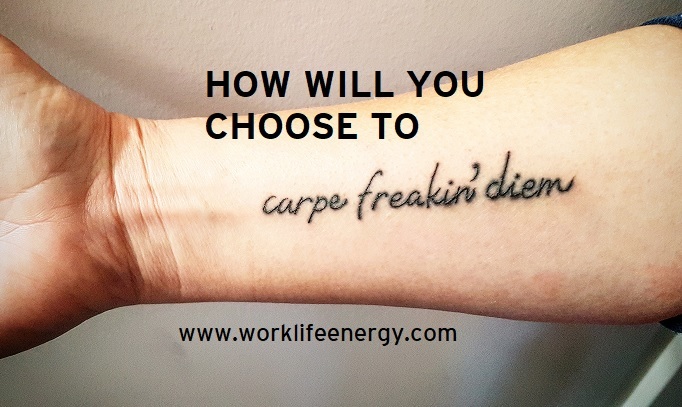 And maybe my little “carpe freakin’ tattoo” is a way to spur you into action. Don’t wait. Today is the day for whatever it is you were meant to be doing. 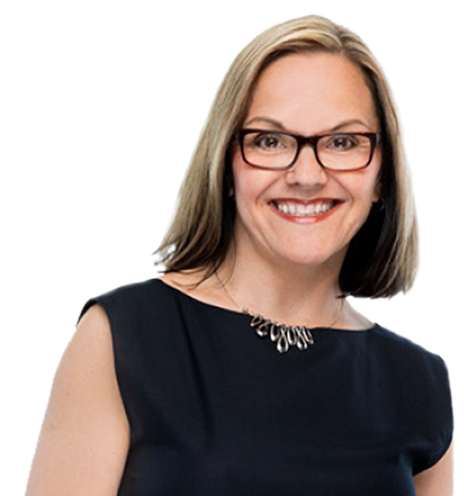 Until next time, I’m Michelle Cederberg, helping you transform your work, and your life, one crazy tattoo recharge at a time. … And remember … don’t tell my mom.